Oleeo for High Volume Recruiting helps you scale the workforce faster than ever before. Whether it’s seasonal hiring or global expansion, our intelligent automation will have you hiring quality talent in minutes, not weeks. 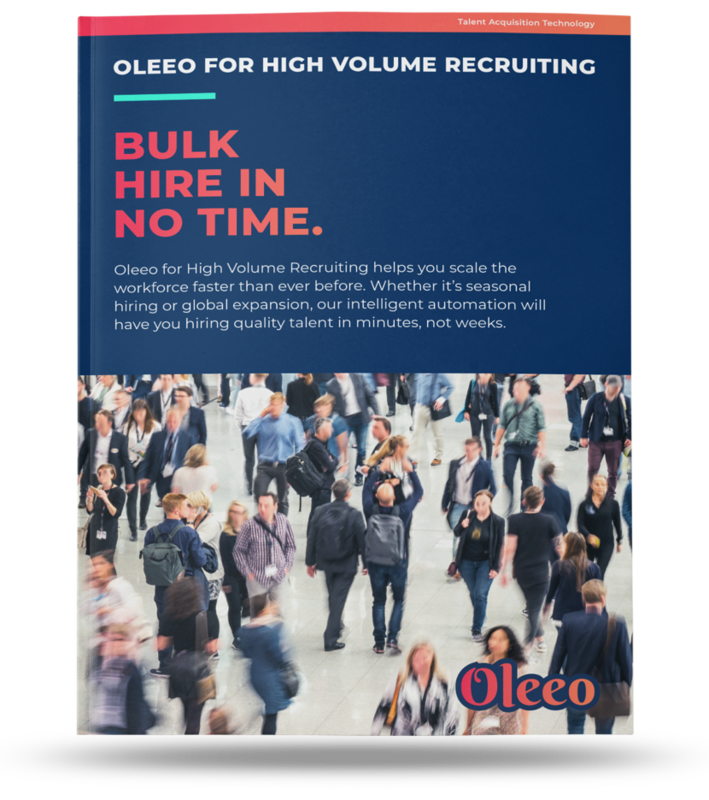 Check out Oleeo's high volume recruitment solutions today! Oleeo’s best in class technology helps you to speed up high volume recruiting without sacrificing quality. Download our brochure today!